Word by Word Hebrew Reader, teaches the pronunciation of every Hebrew word. Like the title implies, it teaches one word at a time, or full sentences. 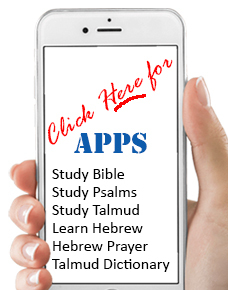 It's an extremely powerful software application that not only Reads Any Hebrew Word for you, but also gives you the ability to break the words apart and rebuild them syllable by syllable to clearly hear and understand how the word is formed. The program is built around the advice of Master Hebrew Grammarians, Teachers and most importantly Students. Word by Word Hebrew Reader is the culmination of years of research and development in the art of teaching Hebrew Reading. Word by Word is not only effective as a Beginner's Hebrew Reading Trainer, but also as a Hebrew Reading enrichment tool with its unique ability to customize words and texts as needed. That means the Teacher can calibrate the lessons to the level of the student. The program also encourages the students participation and exploration into how Hebrew letters and vowels combine into words. Word by Word Hebrew Reader also has a special Cube Graphic Mode which is designed to help challenged readers become proficient Hebrew Readers. The Teacher's version includes all the Dialects and Fonts needed in teaching Hebrew. The software includes Sephardic, Ashkenazic and Chassidic pronunciations. It also includes the various styles of Hebrew lettering; Block Hebrew Lettering, Script and Rashi lettering. Sample lessons are included to help you appreciate the Power & Flexibility that this fine software affords you. We are so sure of the effectiveness of Word by Word Hebrew Reader, it is covered with our TES Money Back Guarantee. The software is ideal for training those encountering difficulty in reading or have symptoms of Dyslexia.